Glass beads are one of the treasures of the Paiwan tribe. From oral legends, these beads magically appeared in the wilderness, and today their origins remain unclear. As there were no records left on how to make these beads or the materials that were used, Paiwan artists in Sandimen Township in Taiwan’s southern Pingtung County have carried out research to re-create them, each one with a special motif and meaning, such as eyes, feathers of a peacock, the lily flower or tears of the sun. These artists have also been working to apply these motifs to more contemporary, but still handmade, glass bead works. 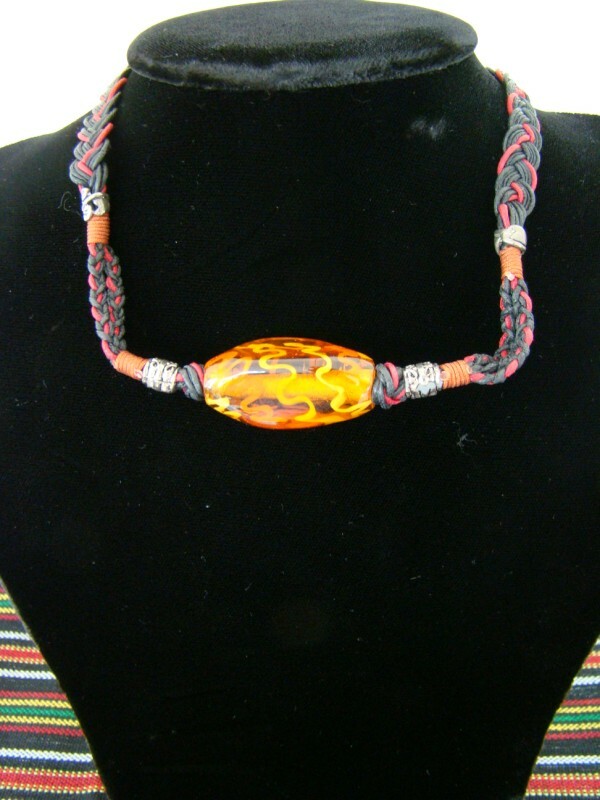 Some of these are exquisite art pieces such as the transparent bead with wave patterns in the center of this choker. 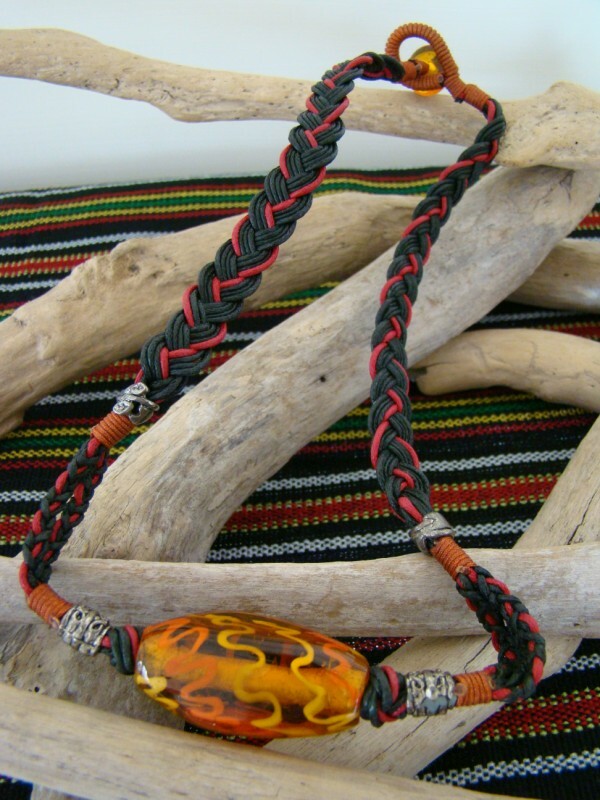 This is complemented by a transparent glass bead closure and red and black woven chain.